Unreal Lawns supply and install artificial grass in Bury and the north west of England. We serve domestic and commercial customers in the area, with products suitable for a wide range of applications from outdoor spaces and gardens, to event areas, exhibition space and more. See below for some examples of projects we've carried out in the Bury area. 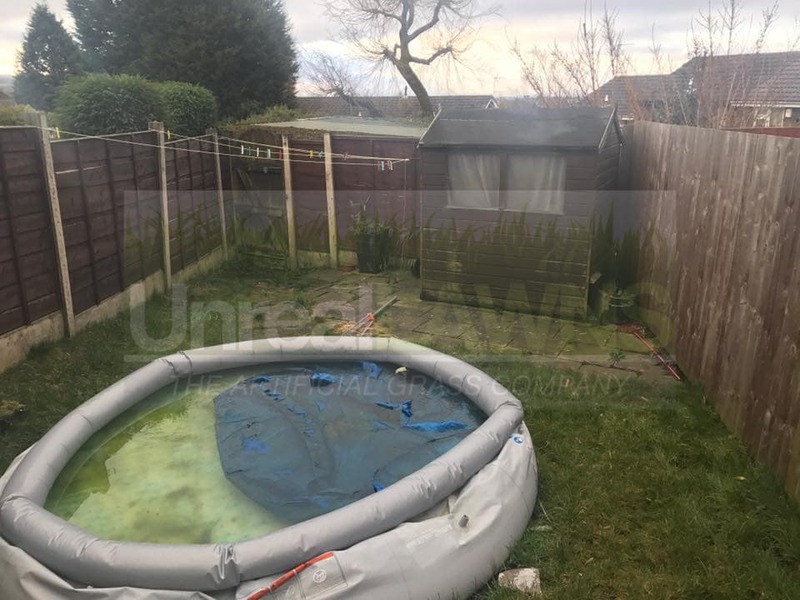 A customer based in Bury approached Unreal Lawns requesting the installation of artificial grass in their small rear garden. They had recently fitted a raised decking area in the garden, with space to sit outside. However, the view of their current boggy lawn was not something they fancied sitting next to. We fitted our Luxury 35mm artificial grass, along with a charcoal block edging on the side next to the path. The result – a pleasant space to sit and spend time in, along with the knowledge that this is how it will stay no matter what the weather. 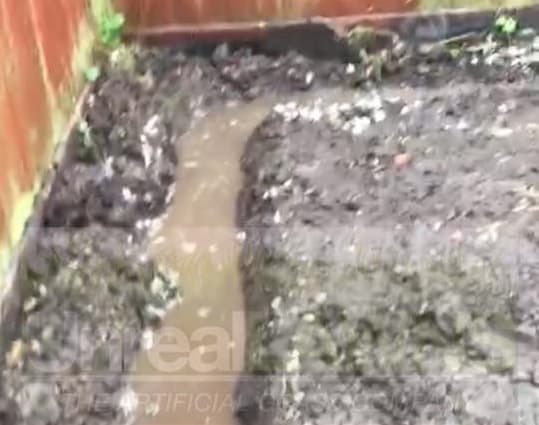 Unreal Lawns were contacted by a homeowner in Bury whose rear garden had some serious drainage issues. 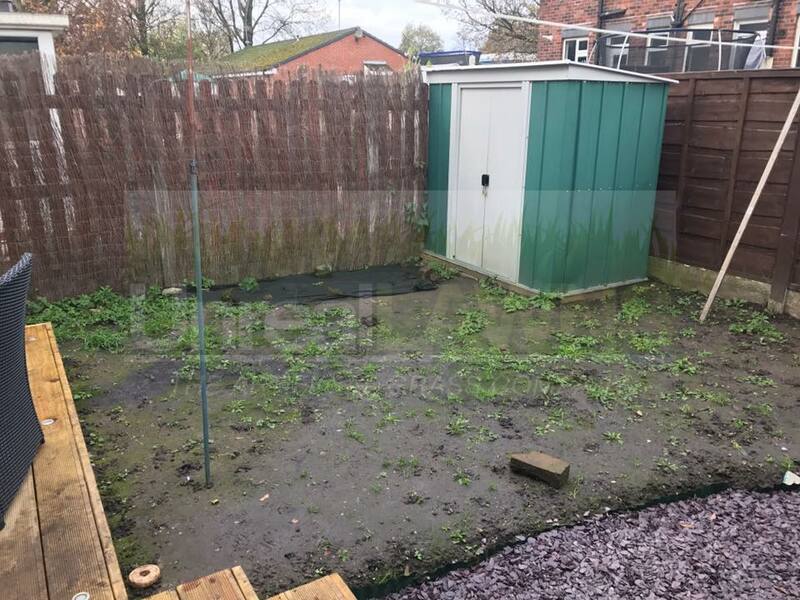 The garden was literally just a bog and completely unusable by the family. We solved these drainage issues and installed our artificial grass in the space. The result was a green, tidy, and dry lawn area that can be used all year round. The family were over the moon with the transformation and loved the contrast between the lawn and the paving stones. Unreal Lawns were approached by a customer in Bury who wanted to completely overhaul their garden using artificial grass. To say the previous garden was in a sorry-looking state is an understatement. The grass was worn, paving old and space left unused by the family. We installed our Supreme 40mm artificial grass and Indian stone paving to contrast with it. The finished garden looks neat and tidy, with plenty of colour. The family were delighted with our work and were left excited at being able to spend more time in their garden now.